Halloween Costumes in Class + Dance Class Costume Ordering Time!! Hi Families! June is very far away (a little too far if you as me, a summer baby) but because costume houses take 5-7 months to fulfill orders it’s time to process costume orders for our end of season performance! This performance is the culmination of our season and a great time to reflect on the progress of each student and the success of each class throughout the year as we look onwards to the next! We just love teaching students not only about DANCE but about performance, confidence, responsibility and THEY love hanging with friends backstage. Such a special time for memories! CALL: 757-340-1534 if you have any questions! School has started, classes and subjects are new. You’re trying a different dance style this season (different shoes!?) but you’re also giving art lessons and swimming a try too! Let those awesome parent time & object management skills trickle down to your kids and help them organize a “Dance Bag” so no matter if the bus is late, you’ve removed one stress inducing obstacle for your student’s psyche and set them up for success! This doesn’t need any further explanation. Just do it! I’m talking BOTH Right and Left Shoes, the tags of the tights and the dance sweaters, DEFINITELY THE WATER BOTTLE. Headbands to hold back wispies or for girls with shorter haircuts. Baby Powder - to put in shoes to help them slip on and off easier and to reduce sweat and smell. Extra tights (we sell them at MIM for $8). Because you forgot about that HUGE HOLE or RUN. All of your dance shoes. We use TAN Jazz Shoes and TAN Tap shoes! Sweater or pull-over for colder days. No baggy sweatshirts or hoodies. We allow a cover-up for the first few warm-up exercises. 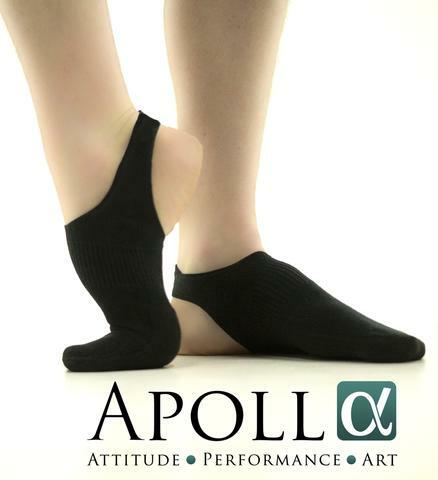 Dance Shorts - to pull over leotard & tights for jazz, acro & modern classes. Snacks: granola bars, crackers etc. We are a nut-free studio! Anything else you may need to feel comfortable! Last but not least, every now and then we will release important printed materials to go home with your student! So, check the dance bag for paperwork every now and then relating to the dance studio. A silver lining around some stormy clouds is that we get to effectively review our inclement weather policy right at the beginning of the year! NEW! The "Band App" Join the band app for up to the minute notifications on classes, cancellations & updates in our very own personalized app. Stay on to participate in polls, raffles & more fun events! We will follow the recommendation of the Virginia Beach City Public schools closings during inclement weather conditions. However, if the weather is FAIR and our teachers agree to safe driving conditions, Music In Motion will OPEN even when VBCPS is closed on occasion. Absences are excused and classes are not mandatory, please exercise your personal caution when choosing to attend classes or not. Please contact us at info@musicinmotionva.com if you wish to schedule a make-up class. Our aim is typically to get kids out of the house and moving and to give the parent's a break! 2 such examples of this are TODAY, Tuesday 9/11 when students were out of school but it is a beautiful sunny da = classes are ON! And Winter Storm January 2018 when school cancellations went on FOREVER, we opened as soon as we were able and could dig out! Check facebook, website or Band app for announcements on class updates, time changes and more. Days When MIM IS OPEN and VBCPS is closed. PRINTED Summer Schedules have gone home to students this week with recommendations based on your students current class schedule as well as age and possible interests! Just send us an email info@musicinmotionva.com with your Class Choices and dates you are available and we'll find the class card for you with the best deal! Check out the SUPER CUTE Tank Top Design for the Show! Order HERE for $20 and try on the sample sizes in the lobby! BEASTCOAST is this weekend with Ms. Julika and friends featuring Urban Dance and Hip-Hop Fundamentals. Schedule is from 2:30-8:30 pm all Saturday 4/28 and there is a special price for MIM Dancers of just $15. Join us!